On Davidson Town Day May 7, I had a chance to take the town’s ELF for a spin. 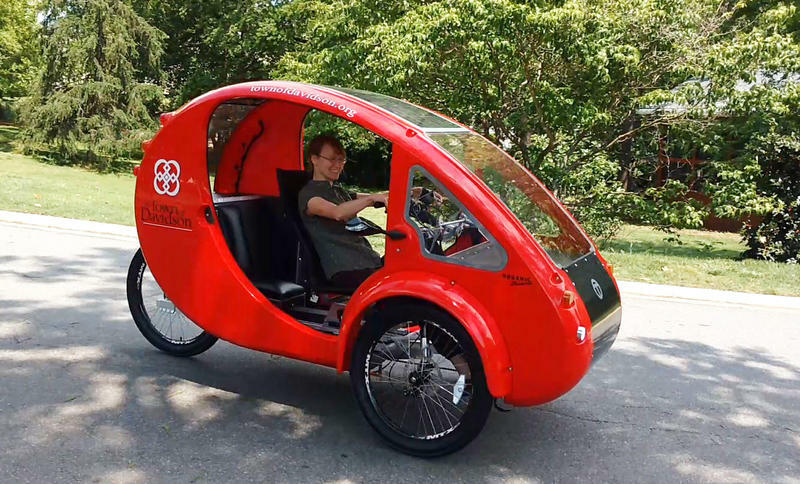 That’s E-L-F for electric, light and fun, three words that describe the three-wheeled vehicles made by Organic Transit in Durham. These sleek, recumbent bicycles — the kind you sit down to ride – come with pedals, handlebars and hand-brakes, as on any bicycle. I talked to Charlene Minor of Davidson Parks & Rec, and Rob Cotter of Organic Transit for this story on WFAE.